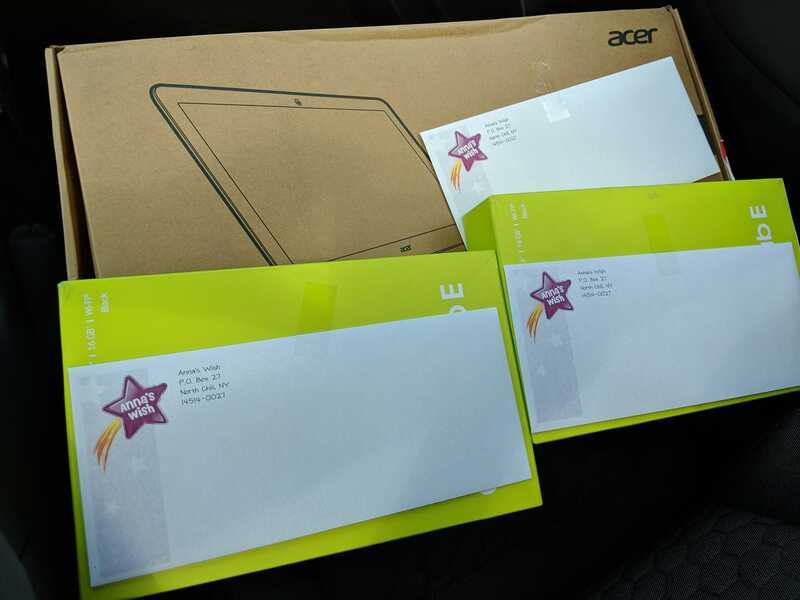 Spending time in the hospital can be difficult for children (as well as adults..) so we recently provided some tablets and a chromebook to some patients to help occupy their time while they are receiving their chemotherapy. The tablets were for little ones to watch movies and play interactive games, while the chromebook was for an older child that wanted to ‘blog’ about his experiences in the hospital with this treatment. We were happy to help out!